A wooden container box to display the 4 + 4 bottles arrangement, using semi-transparent plexiglass dividers and a metal base. This is Esigo 7 wine rack, the wine rack made from stylish gloss-finish lacquered wood, which allows you to have 8 bottles of wine on hand. 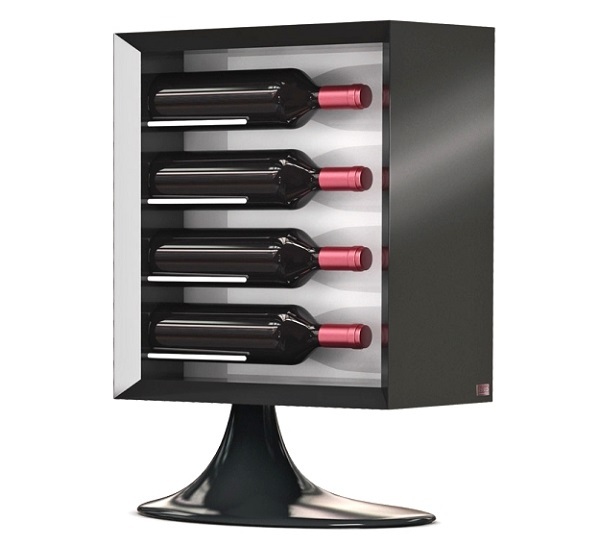 Ideal for use during parties, and is also an excellent and functional wine display unit when you want to promote the 4+4 bottle arrangement when furnishing wine bars, wine shops, wineries tasting rooms and retail shops.